Cobalt 27 Capital Corp. (TSX-V: KBLT) (OTCQX: CBLLF) (FRA: 27O), a battery metals streaming and royalty company offering direct exposure to metals integral to electric vehicles and energy storage systems, today announced the closing of the acquisition of previously announced royalties, including a 1.5% Gross Revenue Royalty on the Flemington Cobalt-Scandium-Nickel Project, and a 1.7% GRR on the fully permitted and construction-ready Nyngan Scandium Project, located in Australia (see news release dated May 7, 2018). 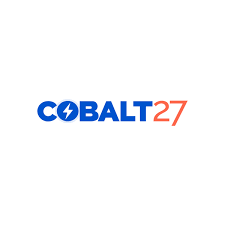 Cobalt 27 Capital Corp. is a leading battery metals streaming company offering exposure to metals integral to key technologies of the electric vehicle and energy storage markets. The Company owns 2,905.7 Mt of physical cobalt and a 32.6% Cobalt Stream on Vale’s world-class Voisey’s Bay mine,‎ beginning in 2021. Cobalt 27 is undertaking a friendly acquisition of Highlands Pacific which is expected to add increased attributable nickel and cobalt production from the long-life, world-class Ramu Mine. The Company also manages a portfolio of 11 royalties and intends to continue to invest in a cobalt-nickel-lithium-focused portfolio of streams, royalties and direct interests in mineral properties containing battery metals.